Mindy is one of my very closest friends since high school. How lucky am I to have such a mega amazing friend for over a decade??! 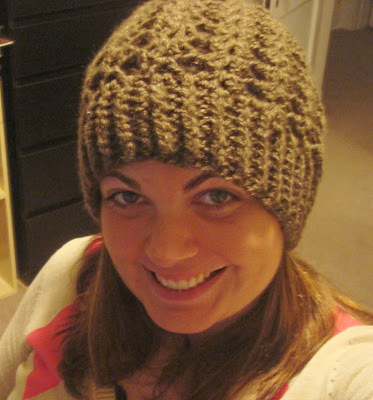 She requested a brown slouchy beanie, and of course I was all over that! I was going to post this pattern since it is a TeaBeans original, but of course, it was another spontaneous invention; and now, a one-of-a-kind. 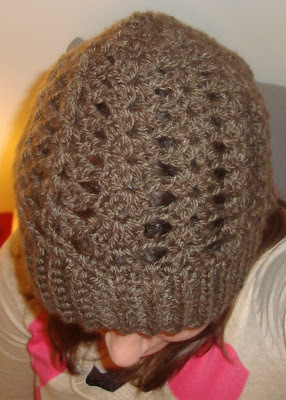 Here is a close-up shot of the pattern: Mindy says, "My sister Deb is WAY jealous and wants one of her own." 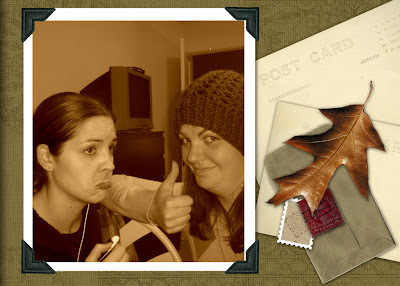 Aaah... scrapbook memories of Deb wishing she had a TeaBeans beanie!